From May 25, 2018, we and the rest of the EU follow the new Data Protection Regulation GDPR. 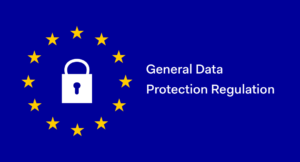 GDPR applies to all EU companies and organizations dealing with personal data. The regulation replaces the Swedish Personal Data Act. Personal data is information that can be linked to you: addresses, phone numbers, email addresses and more. TPC TEXTILE AB handles some of your personal information such as company addresses, e-mail addresses, organizational numbers, telephone numbers, IP numbers, newsletters, business and financial system. It contains name, address, organizational number, phone number, email address, IP address.What do we have the information for? • For mail correspondence for the entire process regarding product development and delivery of this. In order to handle the entire process both before and after the production and services. For deliveries. • To receive our newsletters. • Enable marketing on the website. • Sometimes we need to share your contact information with our partners.How do we handle the data? • protect the dataYou may always request correction or deletion of your personal information.